Malcolm Stewart, of the Smartop/Bullfrog Spas/Motoconcepts Racing Honda Team, suffered a broken femur when he went down during the 450SX main event at round two the Monster Energy AMA Supercross Series in Glendale, Arizona, January 12. Malcolm Stewart suffered a broken femur in the crash that forced a re-start last night at the Arizona Supercross. 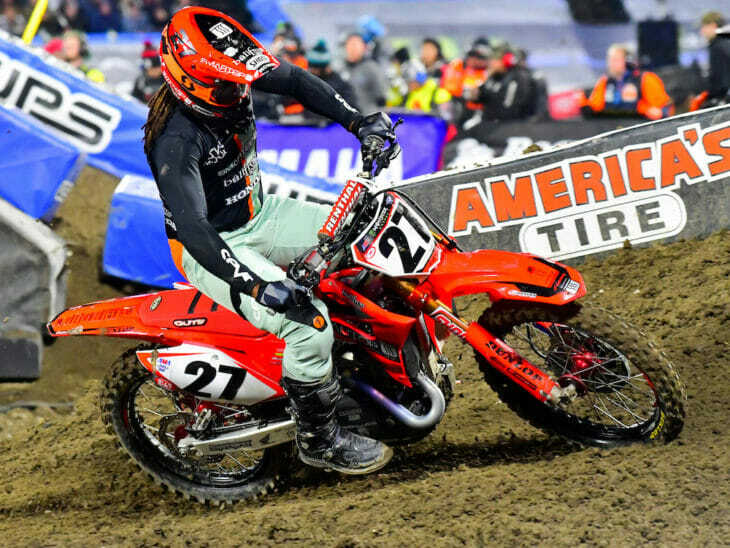 Before the injury, Stewart was enjoying an impressive start to the season, running in second place the week earlier in the main event at Angel Stadium of Anaheim before sliding out in the wet conditions.